At the Formlabs hackathon, we made a tiny 3D printer that uses a DLP light engine to cure resin (rather than our usual lasers and galvos). As part of this project, I wrote a small slicer that renders a mesh into a series of bitmap images (with some help from our general counsel, Martin). The slicer runs in a browser and is completely client-side. It accepts a STL file and downloads a zip file full of .png images. Try it out above! Turning a model into a set of slices is surprisingly tricky, especially when the model has multiple nested bodies. Why is voxelization hard? Voxelization is entirely about deciding whether a given voxel is inside or outside the model. Unfortunately, meshes have no notion of "insideness" or "outsideness"; they're just a bag of triangles floating in space. We have to enforce a notion of insideness on this herd of unruly triangles, or the situation will be completely hopeless. Each pair of spheres has faces at the same locations in space. 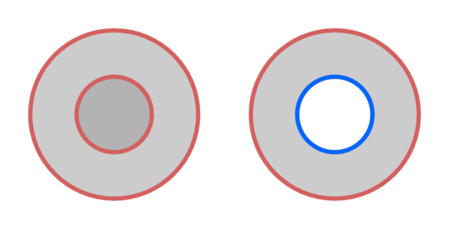 However, the first pair of spheres is solid all the way through (and is doubly solid in the center, where both spheres are present); the second pair of spheres has an internal empty cavity. Testing this algorithm on our pairs of spheres produces the correct results: A voxel in the center of the left pair is filled, and a voxel in the center of the right pair is empty. The main downside of this approach is that incoming meshes need to be clean and water-tight. 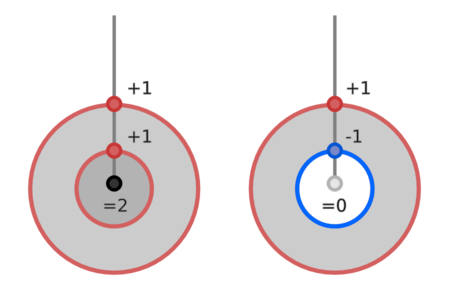 However, this is a fundamental challenge and not unique to the raycasting algorithm: without a water-tight boundary, the notions of insideness and outsideness begins to lose meaning. This slicer uses a stencil buffer trick to implement the algorithm entirely on the GPU. This isn't a new idea, but it's a neat idea that deserves to be explained. This executes the raycasting algorithm described above, done in parallel and with all of the hard work offloaded to the GPU. In a CPU implementation, the tricky part would be figuring out which triangles intersect various rays. Here, we get all of that for free! The source code is hosted on GitHub and released under the MIT license. If you're feeling silly enough to actually try using this on your DLP printer, customize it by editing values in printer.js.